Did you know you there are Easter meals to order online? I’m proud to be an ambassador for Omaha Steaks and share this sponsored post. All opinions are 100% my own. 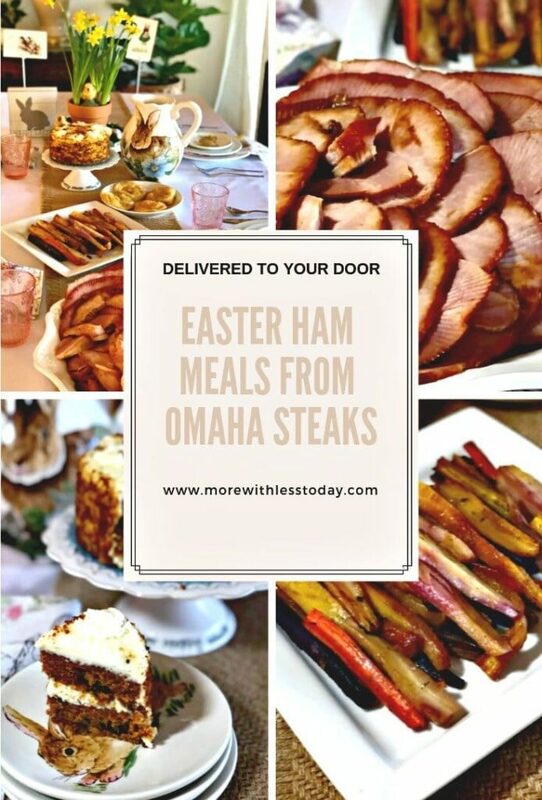 Recently, my family got to enjoy an early Easter Ham dinner delivery from Omaha Steaks. 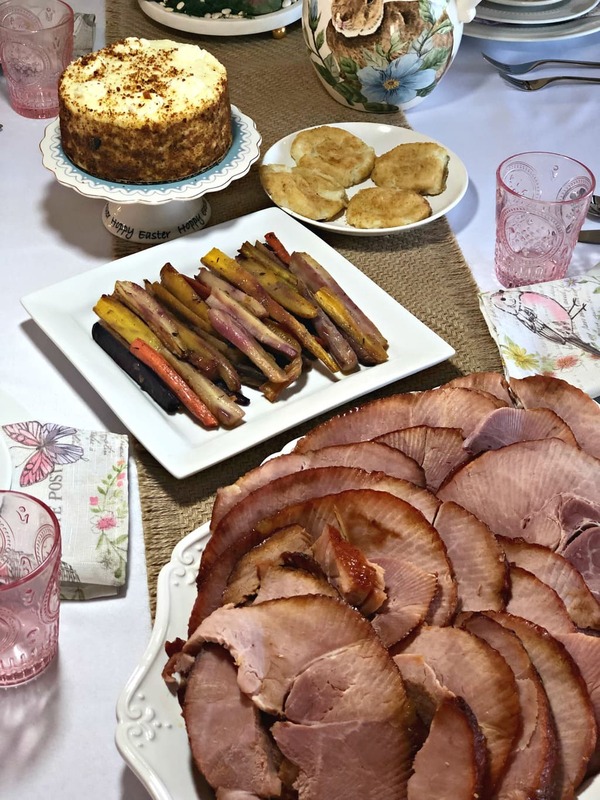 Read on as my friends at Omaha Steaks are generously giving away 5 Easter Ham dinners to 5 of my lucky readers! Hurry and enter below! There is still time but the giveaway ends soon. One of our friends needed cheering up after losing their family pet (so sad). We shared our wonderful meal with their family ahead of the holiday. It made me realize that sending a meal from Omaha Steaks is the perfect way to let someone know you care. One of the benefits is that the recipient can enjoy the meal whenever they want to and not worry about having too many meals sent at once that may go to waste. The next time you want to bring a meal, consider having one sent from Omaha Steaks. Their slow cooker meals and skillet meals are so delicious and can go from freezer to table quickly. 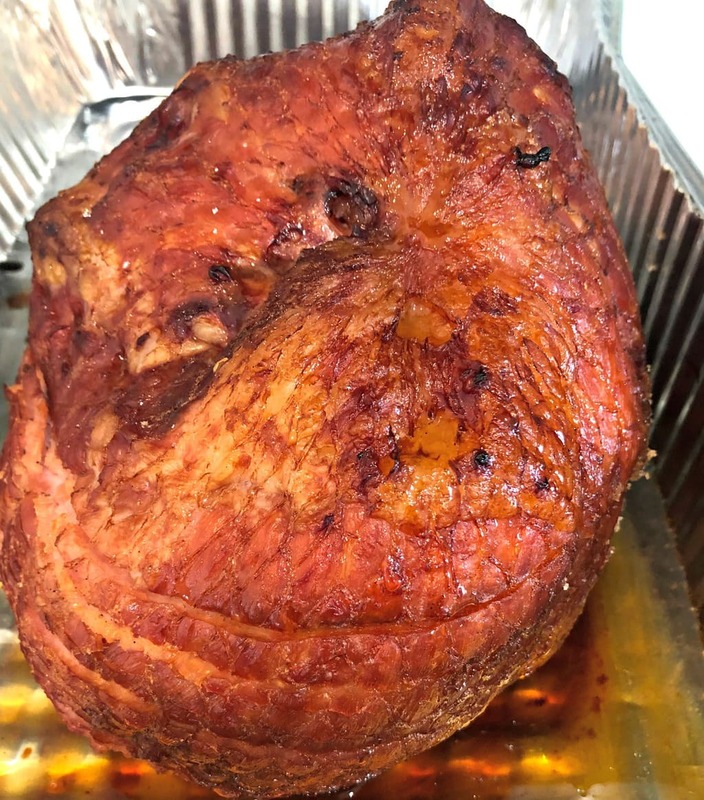 We are sharing with you early so that you have time to place an order to have a delicious ham dinner delivered straight to your door in time for Easter. Just heat and serve and enjoy a meal you will be proud of. Plus you will enjoy more time with your guests. Omaha Steaks sent me a beautiful 8 lb. 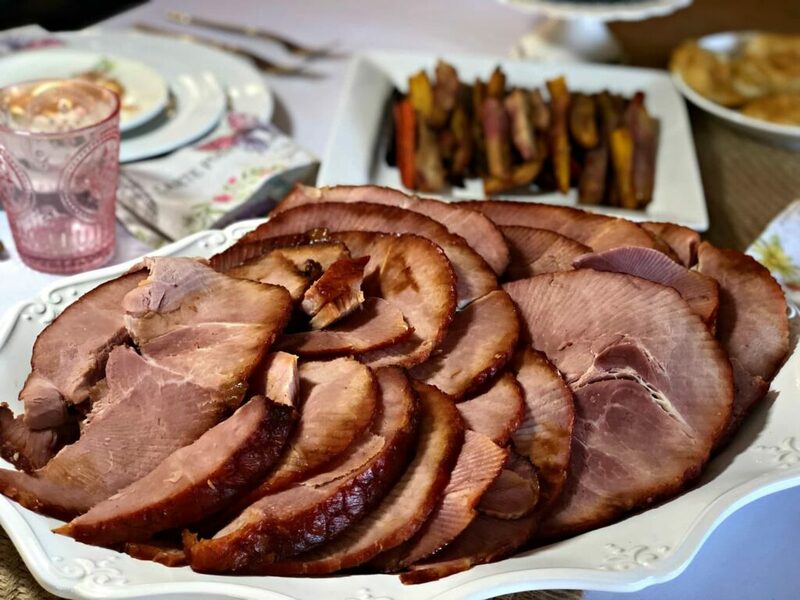 Spiral-Sliced Ham dinner with two sides and the most delicious dessert! Now that we are empty-nesters and both of our children are married, we must share them with their in-laws. Sometimes we get to celebrate with them and other times we have to be ok with the pop-in visit. We have learned to be flexible. One of my favorite benefits of having Omaha Steaks in the freezer is that we can cook just what we need, save the rest, and be ready to entertain as plans can change. This year, Omaha Steaks has three different types of ham you can order. In addition to the traditional Spiral-Sliced Ham, they have a Duroc Country Ham and a Smoked Ham so you can choose Sweet, Savory, or Smokey. Plus you can customize your package with your favorite items. It just could not be any easier or more delectable! The Spiral-Sliced Ham was as juicy and tender and every bit as delicious as the steaks I have tried from Omaha Steaks. All you do is defrost in the refrigerator for 24 – 48 hours and then heat in the oven. It is already fully cooked and sliced. The ham was perfect after I followed the easy directions for heating it up, plus the ham comes pre-sliced which really makes plating it so easy. I was proud to serve it! The ham arrived carefully packaged in a cooler with dry ice along with the rest of the sides and the carrot cake. The cake was so carefully packaged that not a crumb was out of place. When I visited the Omaha Steaks warehouse, I could see how the workers packed all of the boxes with care and attention to detail. It was quite impressive. The roasted carrots were also a feast for the eyes with their beautiful purple, yellow, and orange colors. They come with a brown butter glaze, lightly herbed with garlic and sage. You just heat them in the oven in the package they come in. They are one-step easy and ready in minutes. 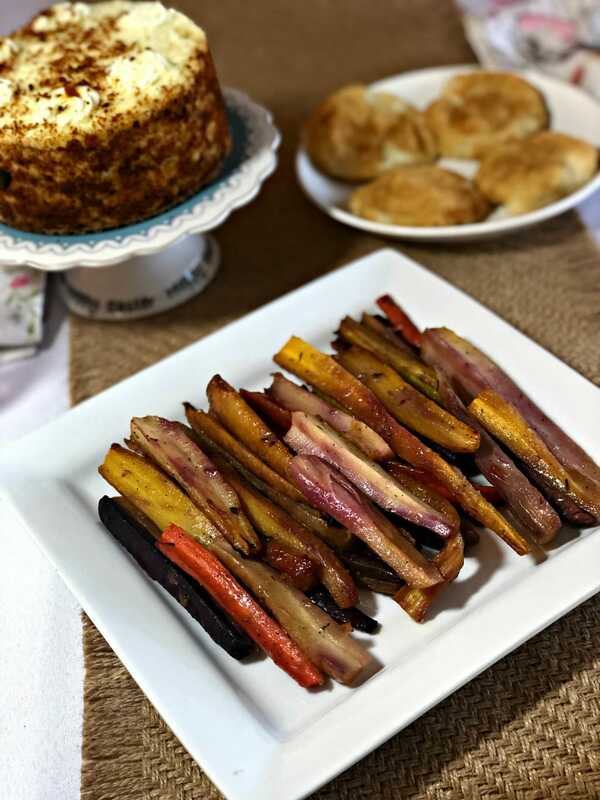 The roasted carrots pair so well with the ham. These Potatoes au Gratin make a tasty side dish! 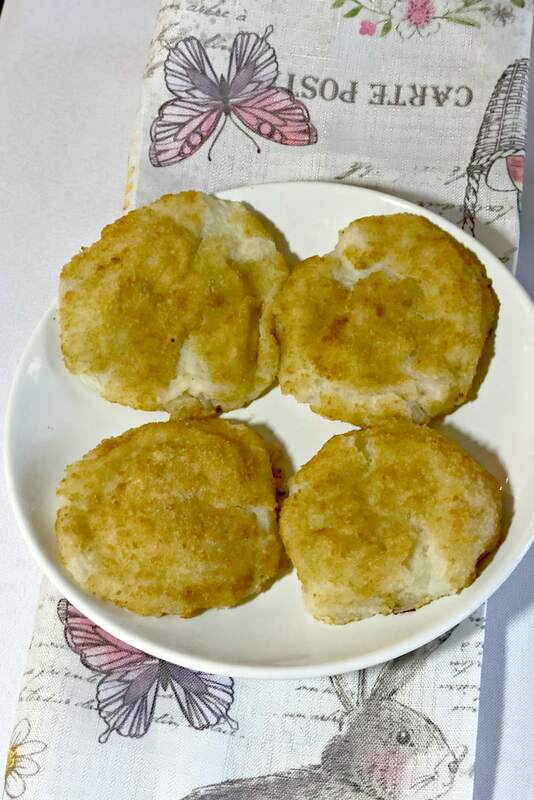 Just heat them in their container and you will enjoy creamy shredded potatoes in a light breading prebrowned to a delicate golden brown. They are big and filling. 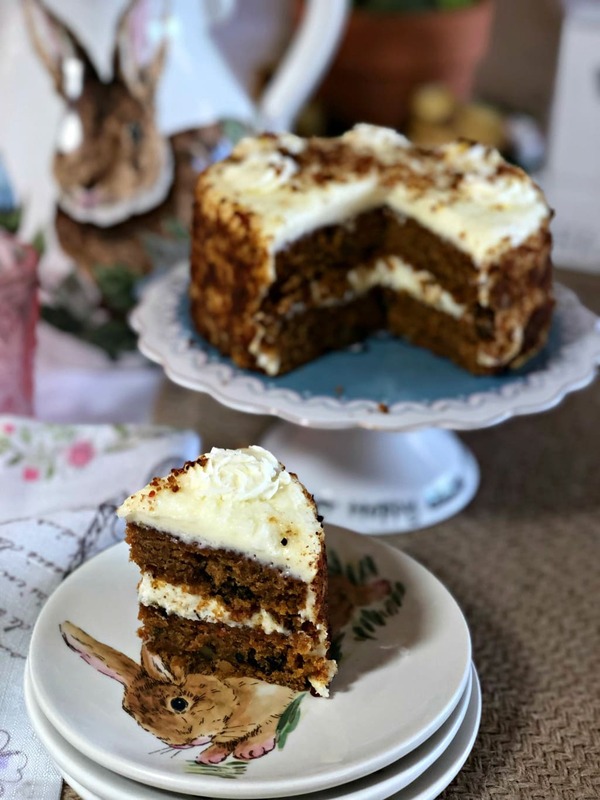 This may just be the best carrot cake I have ever tasted, especially the carrots, cinnamon, walnut, and cream cheese frosting. The frosting is hand-piped around the top and it is so pretty too! You can tell that only the finest ingredients were used. No cooking required, just thaw and serve! This would be a perfect cake to send for a birthday too! If you want to enjoy a traditional and delicious Easter meal and also enjoy more time with your loved ones, Omaha Steaks can deliver a custom meal right to your door. No trips to the store, no worries about your ham not being ready on time or cooked properly, plus you can select your favorite sides and desserts too. 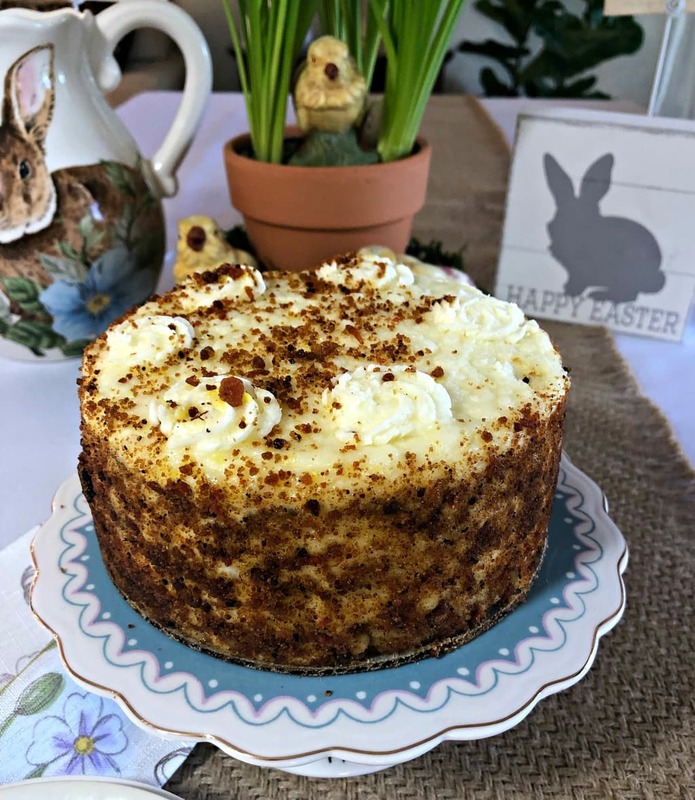 Because our family was small, I’ve tried the grocery store options and local restaurant options and this Easter meal from Omaha Steaks was so much better – not even close. If you are familiar with the quality of the food from Omaha Steaks, you already know the care they put into sending the very best. You will see at the Omaha Steaks website that there are options for smaller families with 4 servings, 6 servings or for 8 people. In addition to the three different ham options, you will also find Chateaubriand Roast and Lamb selections. Plus you can customize the number of sides including Whipped Sweet Potatoes, Asparagus Spears with Hollandaise Sauce, Brussels Sprouts with Shallots and Bacon and more. Dessert choices include Two-Layer Carrot Cake, Pineapple Upside-Down Cake, Gourmet Cheesecake Sampler and more. You can build your own combos. Order today and choose your delivery date. The last day for standard delivery is April 15th at 10 am, but you can set that up ahead of time on the website now. It doesn’t get any easier! Omaha Steaks is also very community-minded and they support many local and national charities. They also provide products and discounts to the military which as a veteran, is near and dear to my heart. 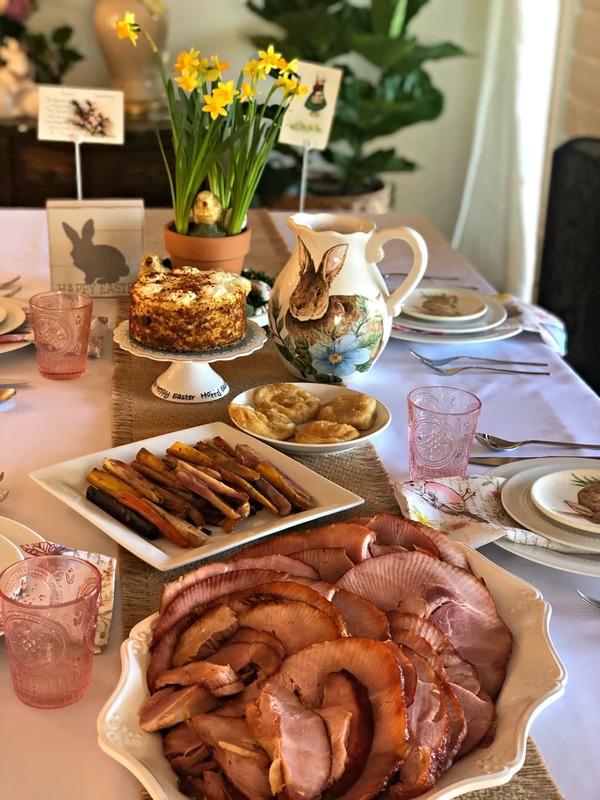 Easter Ham Dinner Giveaway- update- the giveaway has ended and the 5 winners have been notified by email. Thank you to all who entered and stay tuned for a Father’s Day giveaway!! My friends at Omaha Steaks are giving away 5 Easter Ham Dinners to 5 of my lucky readers. I’m so excited for you to try what we got to enjoy! All winners will be randomly selected through the King Sumo widget and must be US based. Winners will be notified via the email they provide and will have 24 hours to reply back to me or an alternate winner will be chosen. Omaha Steaks will ship the meal directly to you so the winners will need to provide me with their home address. Your privacy will be protected and the information will not be used for any other purpose.